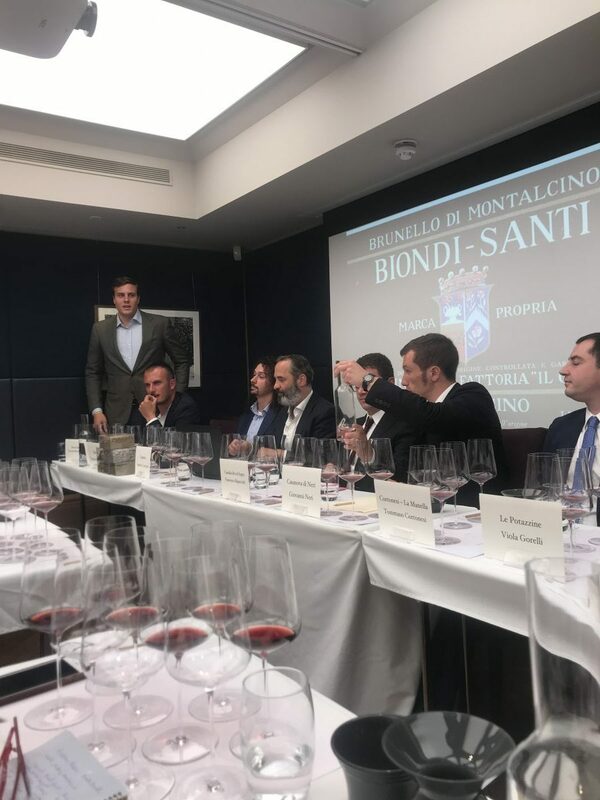 From 1869, up until the end of World War II, there was only one ‘brunello’ in Montalcino and that was Biondi-Santi’s brunello. In the space of 57 years they produced only four vintages (1888, 1891, 1925, 1945). For the lucky ones, life was simple and the choice was made for you. Today, the wine market is complex and more accessible than ever. With so much information at our fingertips, everything has become easier. Everything, that is, except choosing: the number of producers of Brunello di Montalcino DOCG has grown exponentially. In 1960, it was 11 producers; in 2012, it was 258. It was clear the style of Brunello di Montalcino differed greatly according to place. This may seem obvious, but having tasted a couple of hundred individualistic wines in random order at Benvenuto Montalcino, ‘obvious’ is not a bad place to start. As Speller called it, it’s a “jewellery box.” And, at the moment, it is a jewellery box filled with beautiful beads and brooches all tangled together. An easy way to think of Brunello di Montalcino DOCG is to divide the small wine region into two parts – north and south. In general, one third of the producers are to the north of Montalcino where it is cooler, while two-thirds of vineyards are in the warmer south. Although the effect on altitude has an impact, for example, in Torrenieri to the northeast of Montalcino town, it is lower-lying with the heaviest soil giving wines a fuller-body but, of course, there are higher-altitude hillsides and exceptions. Comparing the style of wine from two producers from one area – what part of their wine comes from vitification and what is from vinification? What is down to the sub zone and what was the personality of the winemaker? This mind loop for conscious consumers is the ‘elephant in the room’. The producers need some sort of classification but did they want it based on quality (and all the politics that go with it)? Driving up to the medieval town of Montalcino, the first thing you see is the facade of a fort. In a small wine region, it is not always easy to put one’s head above the parapet without being shot down. From outside the fort, it may not seem controversial to talk about sub-zones in Montalcino. Yet there were hesitations from some producers – would this lead to a French cru classification of wine? Or even, would sub zones become a strait jacket for the winemaker into making a pre-determined style? If a sub-zone was found in a lesser zone, would it be unfairly devalued? Unlike France, Italy’s appellation system is not based on classifications of quality. Barolo and Barbaresco are the only ones to have officially introduced subzones. Walter Speller proposes not a classification, or a cru system, but to use subzones as “a way in to this complex region.” For a complex and small wine region, without an official detailed map of the vineyards in each area, this could be helpful. Arguably, the different vintages are apparent but neither do they betray the Biondi-Santi style. In fact, the current work at Biondi-Santi shows what can be achieved by learning more about place and individual sites. They are focusing on four small plots with different aspects and expositions to understand the impact of soils in the vineyards of Greppo. They vinify each plot separately and work with Garbellotto (barrel-makers) to collaboratively create a new system to analyse how the texture of the wood affects aroma from each plot. They also analyse the vinification of each wine from each soil type to see what the soil is giving to the wine. The argument has moved on from the modern vs traditional style of winemaking that dominated his parent’s generation. Like many winemakers of the new generation, inspiration is taken from their grandparent’s style. Interestingly, Franco Biondi-Santi (Tancredi’s grandfather) proposed sub-zones in 2013, according to Speller. Whether Montalcino winemakers can come together to agree on what is needed for the fine wine consumer in the crowded market, the trend for customers to learn more about the producers, sub zones and regions is not going away. To understand more about a wine from a particular area of Montalcino does not take away from it’s individuality (as if an Italian wine could lose its individuality even if it tried). An Italian sommelier commented after the tasting, “This is an opera, and the opera is called Brunello di Montalcino’. And the show must go on. The roll call of producers: Biondi-Santi, Baricci, Capanna, Canalicchio di Sopra, Casanova di Neri Cortonesi, Le Potazzine, Le Ripi and Talenti. 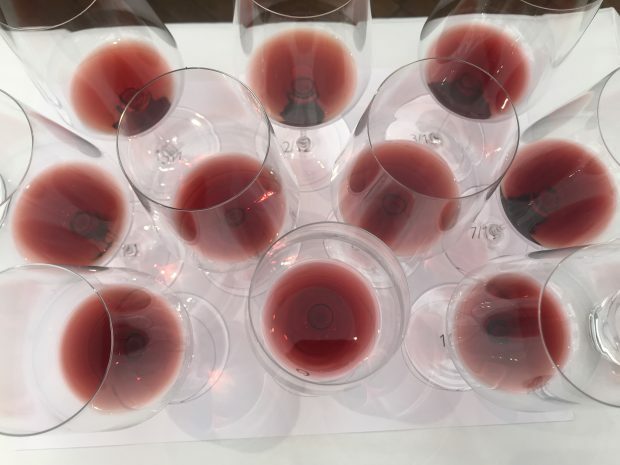 Reprinted on The Buyer – Does Brunello need sub-zones to bring new life to its wines?